The new in-ear monitor uses the same acoustic engineering and industrial design as the Klipsch Reference speakers. New smart lighting systems add decorative features and style to a home. 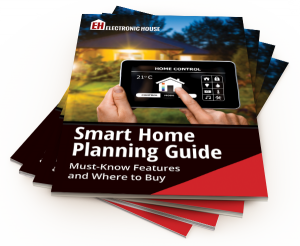 Aside from the ease-of-use and control abilities of smart home systems, aesthetically pleasing keypads and touchpanels can replace wall banks full of old-fashioned dimmers and switches. The BD-A1040 also has Wi-Fi and support for Blu-ray 3D, SACD and DVD-Audio formats. Sarasota homestead uses technology to maintain a green footprint. Elan g! 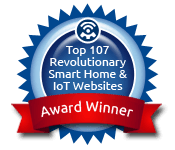 smart home control system enables effortless energy savings for Florida homeowner. The latest soundbase is made to be paired with TVs up to 55 inches. The latest Vizio Bluetooth soundbase is made to be paired with TVs up to 55 inches. Piper smart security camera can expand into a simple home automation system. Piper smart wireless security camera can expand into a simple home automation system. The new lineup includes 7 speakers and a pair of powered subwoofers. The new Infinity speaker lineup includes 7 speakers and a pair of powered subwoofers. The 105UC9 is coming later this year, but at what price? The LG 105UC9 4K is coming later this year, but at what price? The latest smart lock has the option to work with both Wi-Fi and Bluetooth.